I am a Japan born Japanese, educated mostly in America. I have B.S. from Columbia and M.S. and Ph.D. from UC Berkeley, all in computer science. 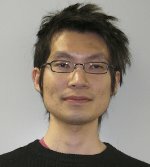 I was an assistant professor at Tohoku University from 2007 to 2011, an associate professor at Nagoya University from 2011 to 2014, and a (full) professor at JAIST from 2014 to 2017. I joined Waseda as a professor in 2017. Tachio Terauchi and Timos Antonopoulos. A Formal Analysis of Timing Channel Security via Bucketing. In Proceedings of the 8th International Conference on Principles of Security and Trust (POST 2019). To Appear. Yoji Nanjo, Hiroshi Unno, Eric Koskinen, and Tachio Terauchi. In Proceedings of the 33rd Annual ACM/IEEE Symposium on Logic in Computer Science (LICS 2018), pp. 759-768, ACM, July, 2018. Hiroshi Unno, Yuki Satake, and Tachio Terauchi. Relatively Complete Refinement Type System for Verification of Higher-Order Non-deterministic Programs. In Proceedings of the 45th ACM SIGPLAN-SIGACT Symposium on Principles of Programming Languages (POPL 2018), PACMPL 2(POPL): pp.12:1-12:29. ACM, January, 2018. Timos Antonopoulos, Paul Gazzillo, Michael Hicks, Eric Koskinen, Tachio Terauchi, and Shiyi Wei. Decomposition Instead of Self-Composition for Proving the Absence of Timing Channels. In Proceedings of the 38th ACM SIGPLAN Conference on Programming Language Design and Implementation (PLDI 2017), ACM SIGPLAN Notices 52 (6), pp.362-375. ACM, June, 2017. Arthur Blot, Masaki Yamamoto, and Tachio Terauchi. Compositional Synthesis of Leakage Resilient Programs. In Proceedings of the 6th International Conference on Principles of Security and Trust (POST 2017), Lecture Notes in Computer Science 10204, pp.277-297, Springer, April, 2017. Akihiro Murase, Tachio Terauchi, Naoki Kobayashi, Ryosuke Sato, and Hiroshi Unno. In Proceedings of the 43rd ACM SIGPLAN-SIGACT Symposium on Principles of Programming Languages (POPL 2016), ACM SIGPLAN Notices 51 (1), pp.57-68, ACM, January, 2016. Explaining the Effectiveness of Small Refinement Heuristics in Program Verification with CEGAR. In Proceedings of the 22nd International Static Analysis Symposium (SAS 2015), Lecture Notes in Computer Science 9291, pp.128-144, Springer, September, 2015. Hiroshi Unno and Tachio Terauchi. Inferring Simple Solutions to Recursion-free Horn Clauses via Sampling. In Proceedings of the 21st International Conference on Tools and Algorithms for the Construction and Analysis of Systems (TACAS 2015), Lecture Notes in Computer Science 9035, pp.149-163, Springer, April, 2015. Tachio Terauchi and Hiroshi Unno. Relaxed Stratification: A New Approach to Practical Complete Predicate Refinement. In Proceedings of the 24th European Symposium on Programming (ESOP 2015), Lecture Notes in Computer Science 9032, pp.610-633, Springer, April, 2015. Eric Koskinen and Tachio Terauchi. In Proceedings of the Joint Meeting of the 23rd EACSL Annual Conference on Computer Science Logic and the 29th Annual ACM/IEEE Symposium on Logic in Computer Science (CSL-LICS 2014), pp.59:1-59:10, ACM, July, 2014. Hirotoshi Yasuoka and Tachio Terauchi. Theoretical Computer Science 538: pp.167-182 (2014). Takuya Kuwahara, Tachio Terauchi, Hiroshi Unno, and Naoki Kobayashi. In Proceedings of the 23rd European Symposium on Programming (ESOP 2014), Lecture Notes in Computer Science 8410, pp.392-411, Springer, April, 2014. Takuya Iwatsuka, Tachio Terauchi, and Shoji Yuen. IPSJ Transactions on Programming 6 (3): pp.20-32 (2013). Hiroshi Unno, Tachio Terauchi, and Naoki Kobayashi. In Proceedings of the 40th ACM SIGPLAN-SIGACT Symposium on Principles of Programming Languages (POPL 2013), ACM SIGPLAN Notices 48 (1), pp.75-86, ACM, January, 2013. Quantitative Information Flow as Safety and Liveness Hyperproperties. In Proceedings of the 10th Workshop on Quantitative Aspects of Programming Languages and Systems (QAPL 2012), Electronic Proceedings in Theoretical Computer Science 85, pp.77-91, March, 2012. Journal of Computer Security 19 (6): pp.1029-1082 (2011). On Bounding Problems of Quantitative Information Flow. In Proceedings of the 15th European Symposium on Research in Computer Security (ESORICS 2010), Lecture Notes in Computer Science 6345, pp.357-372, Springer, September, 2010. Quantitative Information Flow - Verification Hardness and Possibilities. In Proceedings of the 23rd IEEE Computer Security Foundations Symposium (CSF 2010), pp.15-27, IEEE Computer Society, July, 2010. In Proceedings of the 37th ACM SIGPLAN-SIGACT Symposium on Principles of Programming Languages (POPL 2010), ACM SIGPLAN Notices 45 (1), pp.119-130, ACM, January, 2010. In Proceedings of the 16th International Static Analysis Symposium (SAS 2009), Lecture Notes in Computer Science 5673, pp.36-51, Springer, August, 2009. A Type System for Observational Determinism. In Proceedings of the 21st IEEE Computer Security Foundations Symposium (CSF 2008), pp.287-300, IEEE Computer Society, June, 2008. Checking Race Freedom via Linear Programming. In Proceedings of the ACM SIGPLAN 2008 Conference on Programming Language Design and Implementation (PLDI 2008), ACM SIGPLAN Notices 43 (6), pp.1-10, ACM, June, 2008. Tachio Terauchi and Alex Aiken. ACM Transactions on Programming Languages and Systems (TOPLAS) 30 (5): pp.27:1-27:30 (2008). ACM Transactions on Programming Languages and Systems (TOPLAS) 30 (3): pp.15:1-15:42 (2008). Tachio Terauchi and Adam Megacz. Inferring Channel Buffer Bounds via Linear Programming. In Proceedings of the 17th European Symposium on Programming (ESOP 2008), Lecture Notes in Computer Science 4960, pp.284-298, Springer, March, 2008. A Capability Calculus for Concurrency and Determinism. In Proceedings of the 17th International Conference on Concurrency Theory (CONCUR 2006), Lecture Notes in Computer Science 4137, pp.218-232, Springer, August, 2006. On Typability for Rank-2 Intersection Types with Polymorphic Recursion. In Proceedings of the 21st IEEE Symposium on Logic in Computer Science (LICS 2006), pp.111-122, IEEE Computer Society, August, 2006. In Proceedings of the 10th ACM SIGPLAN International Conference on Functional Programming (ICFP 2005), ACM SIGPLAN Notices 40 (9), pp.105-115, ACM, September, 2005. Secure Information Flow as a Safety Problem. In Proceedings of the 12th International Static Analysis Symposium (SAS 2005), Lecture Notes in Computer Science 3672, pp.352-367, Springer, September, 2005. Memory Management with Use-Counted Regions. Technical Report UCB//CSD-04-1314, University of California, Berkeley, March, 2004. Alex Aiken, Jeffrey S. Foster, John Kodumal, and Tachio Terauchi. Checking and Inferring Local Non-Aliasing. In Proceedings of the ACM SIGPLAN 2003 Conference on Programming Language Design and Implementation (PLDI 2003), ACM SIGPLAN Notices 38 (5), pp.129-140, ACM, June, 2003. Jeffrey S. Foster, Tachio Terauchi, and Alex Aiken. In Proceedings of the ACM SIGPLAN 2002 Conference on Programming Language Design and Implementation (PLDI 2002), ACM SIGPLAN Notices 37 (5), pp.1-12, ACM, June, 2002. Jinsong Cai, Aynur Dayanik, Hong Yu, Naveed Hasan, Tachio Terauchi, and William N. Grundy. In the 8th International Conference on Intelligent Systems for Molecular Biology (ISMB 2000), August, 2000. Tobias Höllerer, Steven Feiner, Tachio Terauchi, Gus Rashid, and Drexel Hallaway. Exploring MARS: Developing Indoor and Outdoor User Interfaces to a Mobile Augmented Reality System. Computers & Graphics 23 (6): (1999).